Want to be notified of new releases in baguswiratmaadi/catnip? 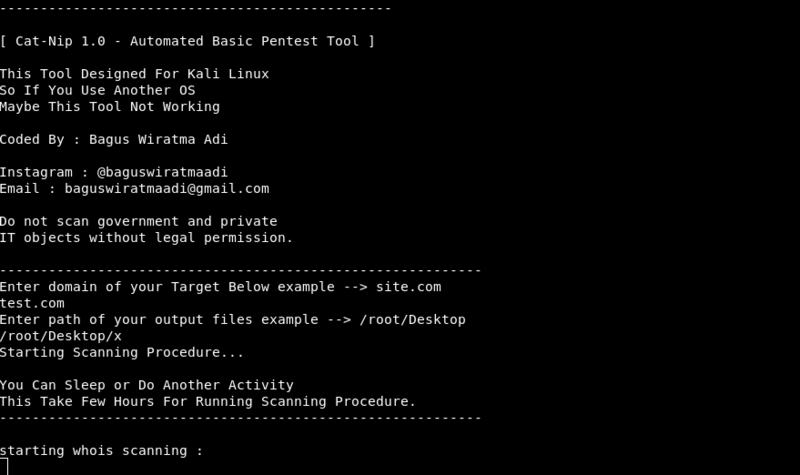 this tool will make your basic pentesting task like Information Gathering, Auditing, And Reporting so this tool will do every task fully automatic. Do not scan government and private IT objects without legal permission.